In Barcelona city, you may come across many tourist attractions and may be sometimes your agenda will be full during your stay in Barcelona. In this article we tried to give information about an engineering marvel located in Barcelona. 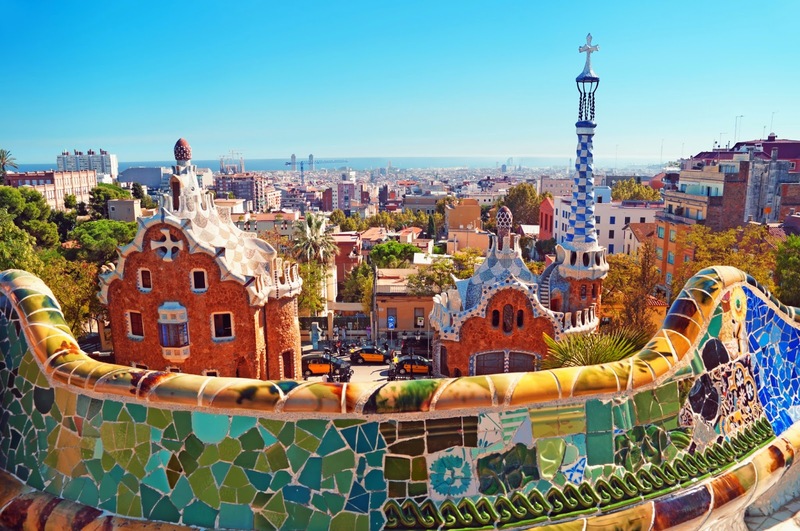 Park Guell in Barcelona city is one of these most fantastic places to see when you are on holiday. As we told before Antoni Gaudi is the greatest architecture of Catalan world and Park Guell is an artisanal project again belongs to Antoni Gaudi. Park Guell is located on the hill of El Carmel in the Gracia district of Barcelona. Earlier, the park wasn't intended to be a park. 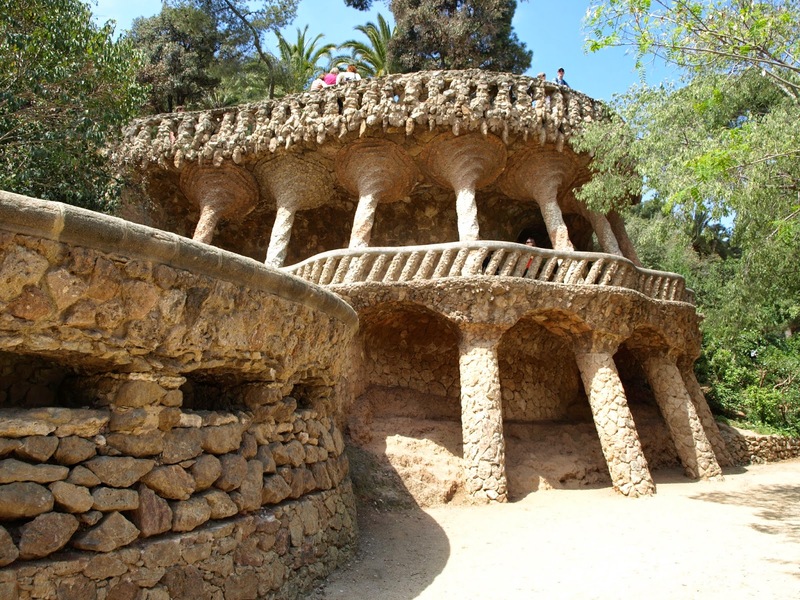 When we have a look at the history of Parc Guell we see that actually this area was thought to include many residential garden village similar to English model including sixty-single houses. Eusebi Guell one of Antoni Gaudi's friend asked him to carry out this project. Gaudi started building the houses in this area until 1914 when they understood that this project was totally a failure as Guell couldn't sell a single house. The project was carried out 14 years. After this failure Gaudi wanted to buy a house with his savings which was built by one of his collaborators. Gaudi and his family with his father lived in this park until 1926. That's why there is Gaudi House Museum in Park Guell. After 1922, Park Guell was opened to public visit and since then it's possible to visit Gaudi House Museum, the houses and the park itself. 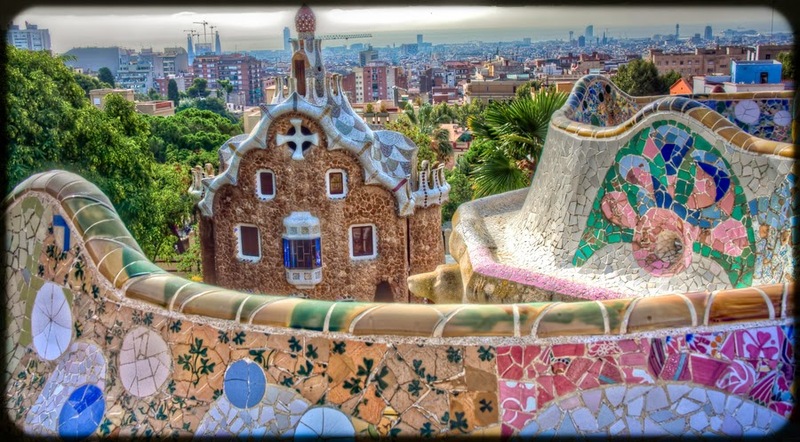 There are magnificient mosaic constructions in Park Guell. The park offers you a peaceful and relaxing atmosphere while wandering around. As in all Gaudi's work, he incorporated many religious, nationalism, mysticism and ancient poetry to the park. Gaudi was a real Catalan architecture. Stairs and pavilion parts of the park were designed by Gaudi. The parts of pavilion look like Hansel and Gratel's house. The houses in the park remind you wandering in a fairy tale. 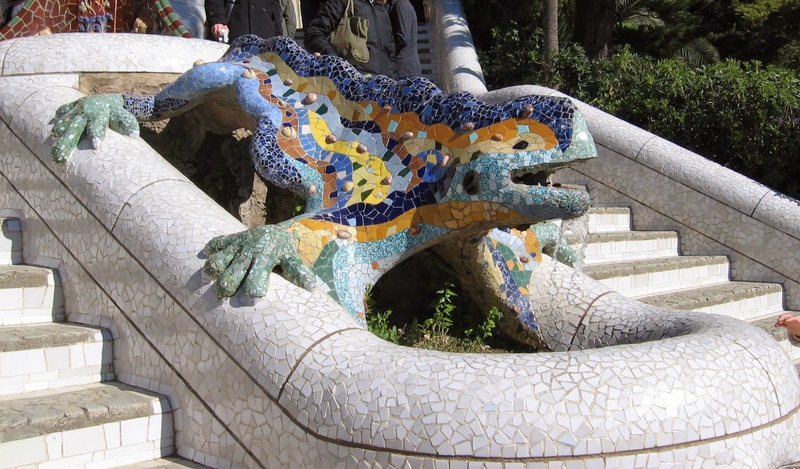 The stairs on the entrance of the park were designed by Gaudi and lizard figure became symbol of the Park and Barcelona city also. Here on the stairs you will see a marvelous trencadis ceramic patterns. They are worth to see while you are in Barcelona city travel. To be able to visit the park area and houses you don't have to pay anything but if you would like to visit monumental area of the park it's necessary to pay around 8€. Please remember that if you visit Sagrada Familia Basilica, too you can buy economical ticket to visit both Park Guell and the basilica. There are two houses which were completed during Gaudi's time for housekeepers and visitors. 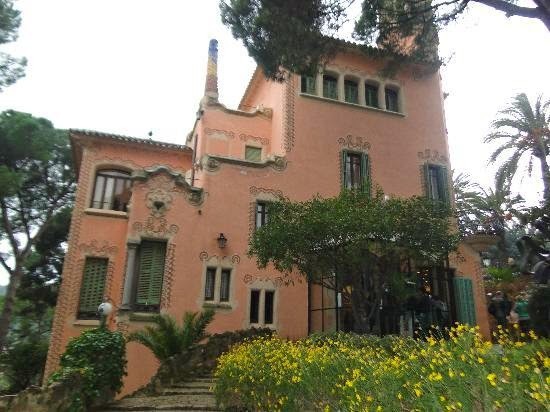 You will need to pay for Gaudi House Museum but it's worth to see while you are in Park Guell. You may feel Gaudi's life a little bit as he and his family lived in that house between 1906 and 1926. The house was designed by another architecture called Francesc Berenguer. In the museum you can see some Gaudi's furniture and drawings. From the Park there is a fantastic Barcelona city scenery which offers you a panoramic view. You can access Park Guell by metro or touristic buses but when you get off the metro ( Lesseps metro stop) you need to walk for a while and go up the hill. There are escalators to access the upside of the park so it won't be hard to wander around. Due to its unique design, Park Guell was declared a world heritage site by UNESCO in 1984. 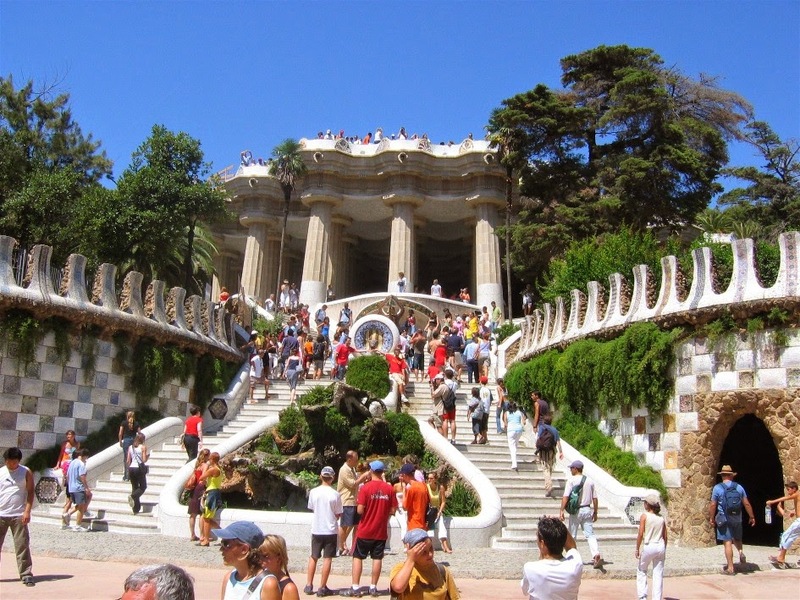 In Park Guell, you will see library, a playground for children, cafe and fountains. You can bring your dog with you if you like. The Park is open all year from 8.00 am to 21.00 pm.